Another year has passed, my second full year for blogging here! (my first blog was on wordpress.com) I accomplished a lot of things that I didn’t know I would, and I also did not hit several of the goals that I did have for the year. That’s the way it goes sometimes, right? If you are interested in seeing the growth of my blog, you can read my reviews on my old blog from 2011, 2012, and 2013, and last year’s review here on this blog from 2014. Okay, so here are my goals from last year. The ones in green I accomplished. The ones in blue I did not. I will end the year with an average of 5,000 pageviews a day on the blog. 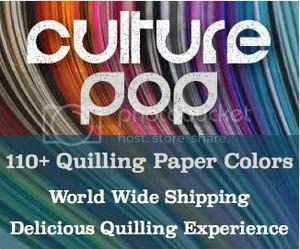 I will make at least $500 a month combined with my quilled jewelry sales, paid tutorials, ads on the blog, and affiliate sales. I haven’t talked on the blog about what I do to make money, but it’s something I sometimes get questions about, so I will also be writing some posts about having online shops, ads on the blog, etc. for those who are interested. Obviously I don’t make a full time income on the blog, but I do need to make it worth my time. Just as a benchmark, I made approximately $300 a month on average in 2014, most of that was jewelry sales. I made at least 15 new free tutorials for the blog, yay! I wrote several review and tips and tricks posts, mostly about sealant but also of other supplies. I still have more sealant and topcoat ones to post, so look forward to those! I wrote 83 posts this year, just squeaked past my goal of 80, yay!! I wasn’t even keeping count. Normally I try to post 2-3 times a week, but I had a couple of low times where I didn’t post nearly that often. I started many new projects that I didn’t even think about in the beginning of the year. I’m always looking to make my blog better! I can’t believe that I actually finished NO paid tutorials this year. Eeks! I actually have a great one that I am working on, but it is hard finding time to get it done. I actually sold a LOT less quilled jewelry this year, so my $ goal per month was not nearly realized. It started in the beginning of the year when there were some changes on Etsy and my products were not showing up in nearly as many searches because of it, so I was hardly making any sales. I actually moved most of my quilled jewelry over to Zibbet instead. Selling jewelry was not my main goal this year and I had so much other work to focus on. It did make a dip in my income, though! On the other hand, the income that I make from ads and affiliate links did go up a lot this year. But overall it’s quite a bit lower. I’m estimating that my average monthly income was around $150 a month, but towards the end of the year it is more than the beginning as my blog grew and I changed ad networks. I now make somewhere around $200-$300 a month including tutorial sales as well. The views on my blog have been my toughest thing this year. For the whole year of 2014 my views increased every single month. In 2015 they were still increasing for the first few months. Then I moved house in June/July. With all the work involved in packing and moving, I hardly blogged, only a few times in a couple months. This, and maybe combined with other stuff that I don’t understand about google, etc., my views plummeted. It has taken me the rest of the year to almost get views back up where they were in the first few months of the year, even with a LOT of posting. So now views are still somewhere around 2,000-2,500 per day, about the same as they were at the end of last year. I’m really working to continue to increase those! A page dedicated to posts that revolve around business, blogging, etc. 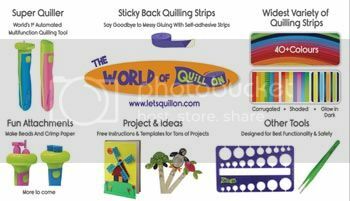 I closed my online quilling supply shop this year, which was a HUGE step for me. I needed the time to focus more on the blog and on family, and something had to go. I try my best to keep the things I am most passionate about and fine tune the rest. I made up the term Quillspiration (a combination of quilling and inspiration) and I make a post at least once a month with a theme showing some quillspiration of other artists around the world. It’s a lot of fun! Time to make new goals for the new year! I will end the year with an average of 4,000 pageviews per day. I will get a total of at least 1,000,000 views for the whole year. I will make at least $400 a month combined with my quilled jewelry sales, paid tutorials, ads on the blog, and affiliate sales. Obviously I don’t make a full time income on the blog, but I do need to make it worth my time. It helps with the bills and I get to buy more things to try out for the blog! I will post at least 90 posts on the blog this year. Thanks so much for sticking with me throughout 2015. As always I welcome your feedback about the blog, what type of posts/tutorials you want to see, and any other questions or comments you have! Your comments can help me change the way I do things here on the blog, and give me ideas for posts. I have truly enjoyed getting to know some new quillers this past year and can’t wait to see what 2016 brings. Thank you for a fabulous 2015! Thanks, Michele! Happy new year to you!! That’s a remarkable growth.. Way to go Honey!! All the best. You were an inspiration to all those who loved creativity!